Typhoon “Damrey” slammed into southern Vietnam on November 4 with maximum sustained winds of 140 km/h (86 mph), killing at least 19 people. 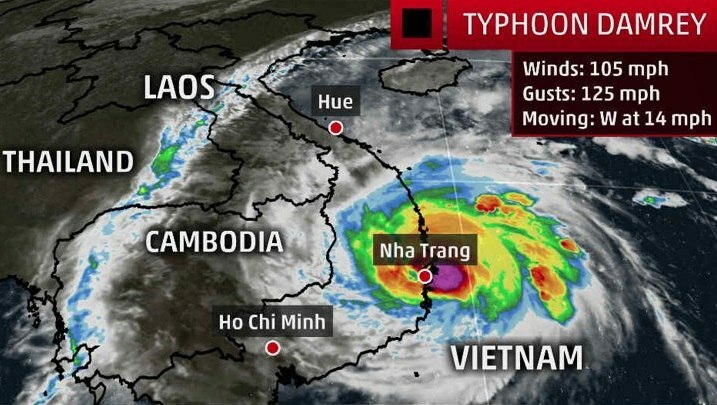 This was the strongest typhoon to make landfall over southern Vietnam in 16 years. 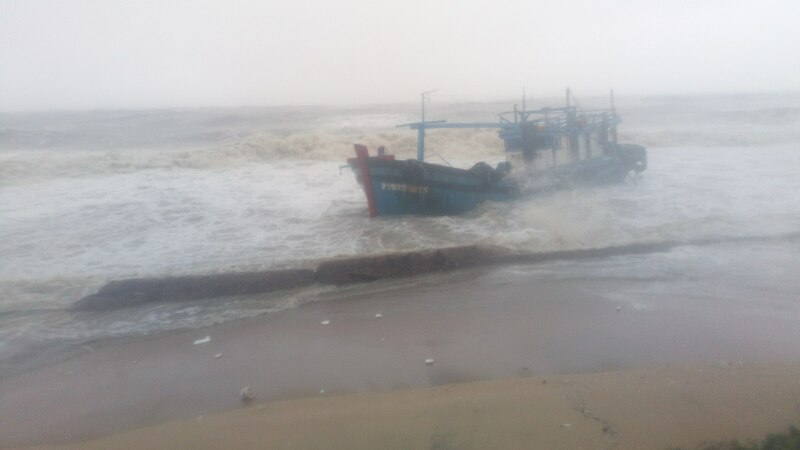 Typhoon Damrey made landfall Saturday morning along Vietnam’s south-central coast, killing at least nineteen persons. 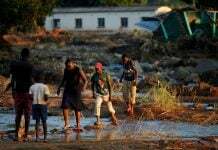 At least five other people are reported missing. 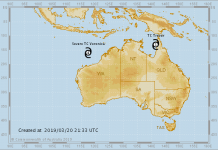 The typhoon made landfall near the city of Nha Trang around 4 a.m. local time. Damrey may be the strongest typhoon to slam into southern Vietnam, since Typhoon Lingling – also a Category 2 hurricane – in November 2001. 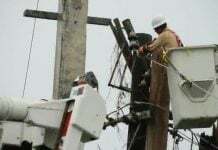 The storm blew roofs off thousands of homes, downed trees and felled electric poles. Ahead of the storm, more than 35,000 villagers were evacuated. Schools and businesses were shut closed and flights were canceled. 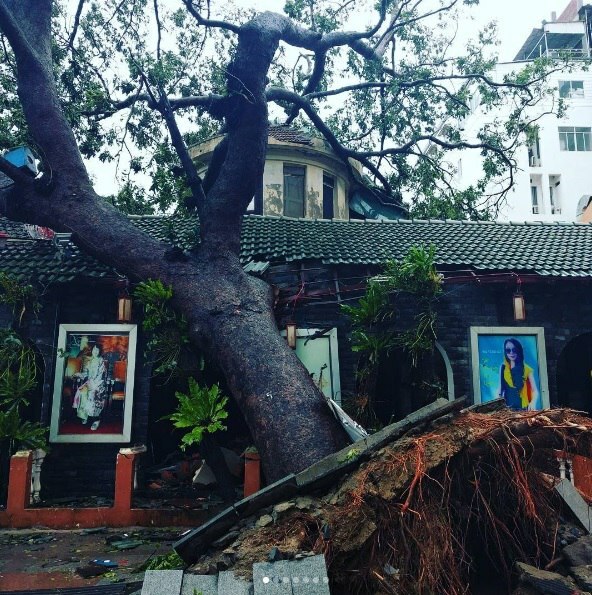 Typhoon Damrey slams into Southern Vietnam ast the strongest typhoon in 16 years. Six ships reportedly capsized with 61 people on board in the South China Sea. Authorities say 25 people were rescued but gave no further details about the fate of the remaining 36 passengers. 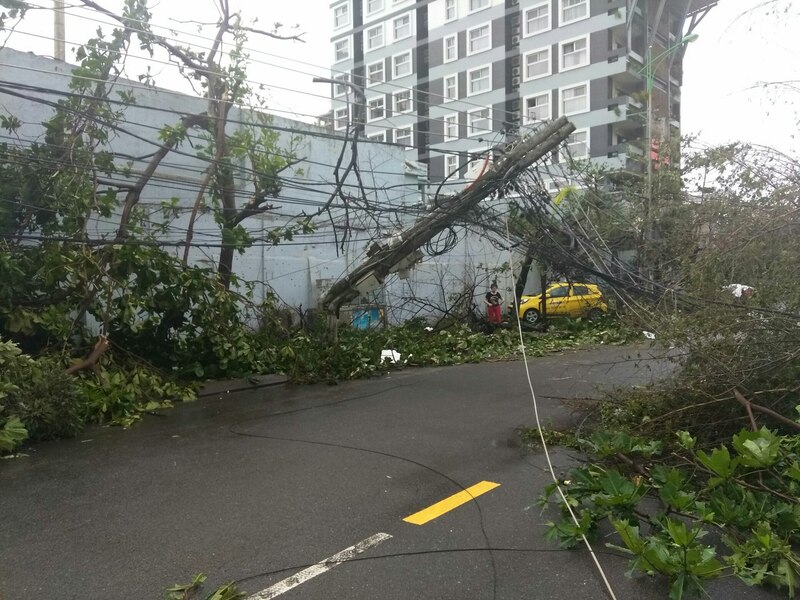 Trees and power poles down after Damrey swept across Nha Trang in Vietnam. 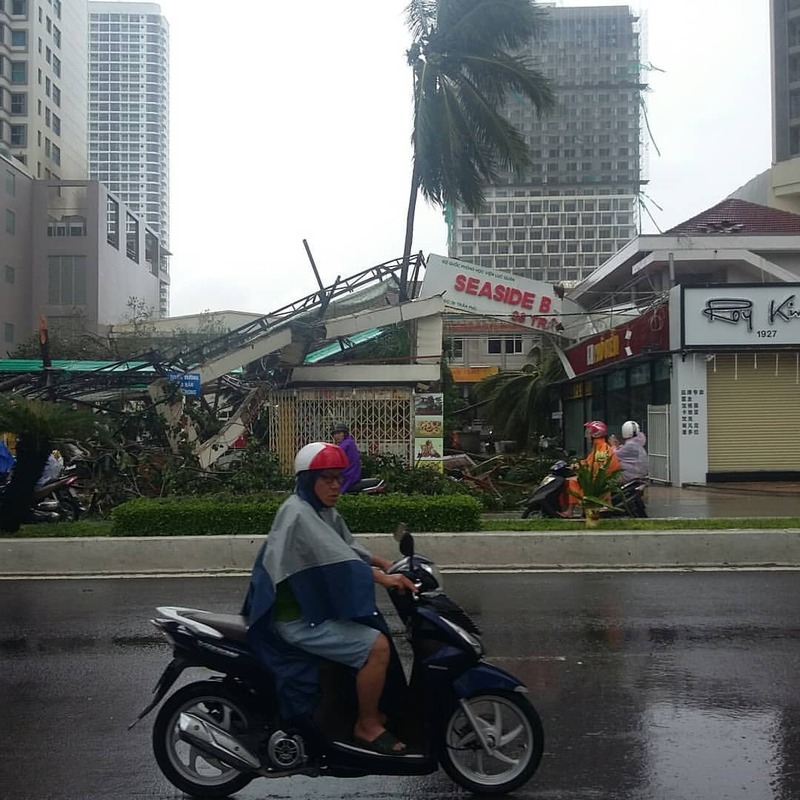 Many habitations and businesses have been destroyed or damaged by typhoon Damrey on November 4 2017. Damrey will continue westward farther inland and will continue to rapidly weaken over the mountainous terrain. Heavy rainfall will remain a concern in this region this weekend.